1. Determine ahead of time who has input and who will be point person. People in your specific target audience. Anyone else? It really doesn’t matter what they think, if they aren’t your business partner or a potential customer. I’m sorry your grandma doesn’t like that shade of green and thinks there should be more cats, but that is not relevant to the project or your business. Once you determine who will get to review design options, make sure you designate a point person to interface with your designer. Just one! This person is responsible for distilling the group’s feedback into clear, concise action items. I always request a single point person. All proofs and all feedback requests get filtered through them. They make sure that the group comes to a consensus before sending me feedback for revisions, which eliminates a LOT of conflicting requests and unnecessary back and forth. 2. Make sure all parties are clear on the design objectives. 3. Ensure your designer has everything* they need from you to get started. No design project starts in a vacuum. A designer will always need something from you in order to get started. Building a visual brand from scratch requires a lot of brand exploration and discussion first. Rebranding? The designer will need your existing brand materials to review and evaluate. An annual report or brochure will require copy and photos from you. Website? The designer will need hosting and FTP info and access. Even if it’s just a few quick questions your designer has about the project specs, make sure you answer those ASAP. A designer will make every effort to meet the agreed upon deadline, but they can’t do that if you haven’t provided the materials and info they need to even start. *Making sure the contract is signed and the deposit invoice is paid also falls under this category!! 4. Give feedback/request revisions in a timely manner. This is probably the step that most often can be blamed for a project stalling out. For most small business design projects, you really don’t need more than 2 business days at most to review and consider, and get back to your designer. If you’re at the stage where you’re choosing between design directions, generally there’s a clear stand-out winner (and your designer likely has one they consider the best fit, too). If you’re at the stage where it’s just tweaking nitty gritty details, even less time is needed. Now, if you have a larger project like a full photo book or a 100-page magazine, yes, the review process can and should be longer. But for a brochure? A logo concept? It really doesn’t take that long to look at the proof and any summary your designer sent with, and make a decision. So don’t procrastinate! Set aside a half hour or an hour. Weigh the options against the design objectives, note anything you feel doesn’t meet them or that you have questions on, and send that feedback off! And if the design is awesome and you have no changes? I guarantee that designers always appreciate an excited “OMG this is perfect and amazing and exactly what we need!” type email received minutes after sending a proof. Again, life happens to all of us, so there is no surefire way to guarantee a project stays on course. But if you have a solid designer and keep the above tips in mind, the chances of a project stalling out get much slimmer, and the chances of you having a successful design project go up. 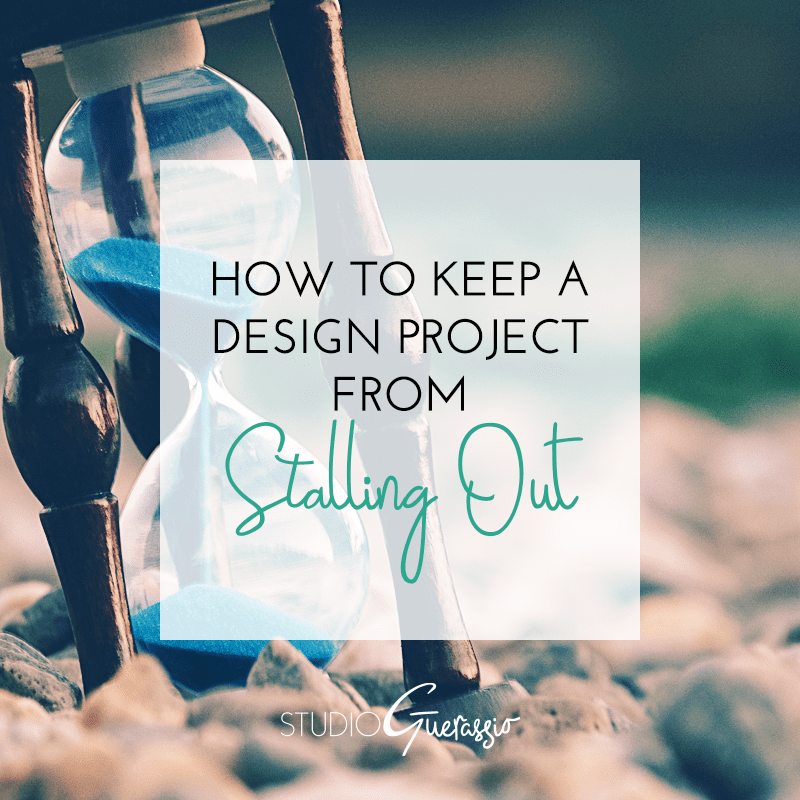 Can you think of any other tips to help keep a project from stalling out, from a business owner’s perspective?